Sounds silly huh? But haven't you ever had a song continuously spinning in your head, endlessly? In one episode of the French tv-series Kaamelott, King Arthur was told by Knight Perceval to sing it out loud, otherwise it wouldn't stop haunting him and he would not be able to concentrate on problem-solving. Loved it! And you know what? It really works! I tried one day I wasn't afraid of looking ridiculous. Amazing! The song left, but another one immediately came in my head to replace it, LOL. So... I guess writing about this might ... hey! I love this series. Nice costumes. Oh and King Arthur has an amazing finger armor ring... Very inspiring... Hmm. seems like ... Oooh. So sorry! I need to go! My beads are calling! 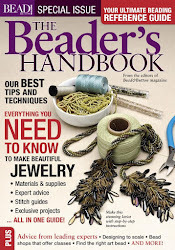 Having the priviledge to proof-read Kate McKinnon's book "Contemporary Geometric Beadwork", I can't but think of those words. The other day, my daily rip calendar talked about the difference between brainless talks - such as mondain conversations like lost luggage, the tune on the radio, the nice cashmere sweater, the fleck on a skirt... filling the emptiness of silence with superficial words -, and deeper, sensible, meaningful words in proverbs, poems or maybe songs... which you will carry with you during your entire life. 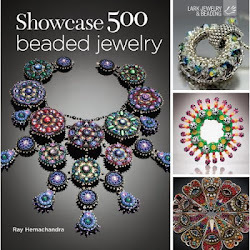 Books and beading can likewise be light and superficial, super-entertaining yet easily forgotten, like the wind... one beaded object after the other. The thirst remains... 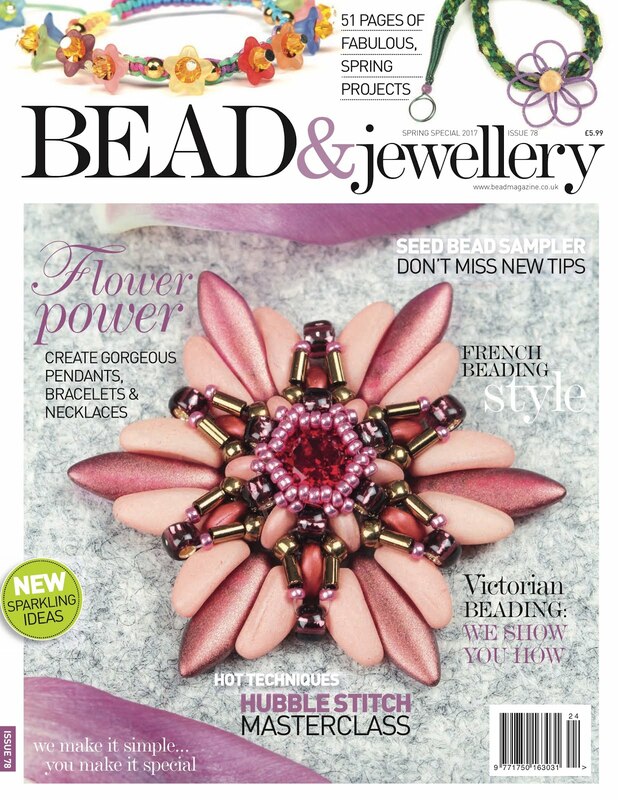 Contemporary Geometric Beadwork is not in this category. The book is really excellent from a technical, photographic and beader's point of view - it is delightful! However that is something one expects from any talented beader and writer. 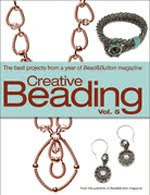 And there are many excellent books about beading out there. 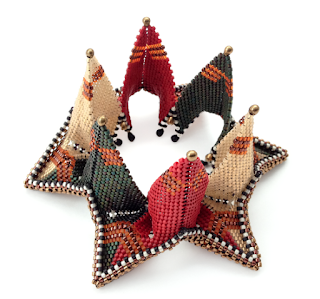 What makes Contemporary Geometric Beadwork so special is all in Kate's writing, her ability to take your hand and lead you on a new path of creativity and new perspectives, taking you to a place where there is space for you. 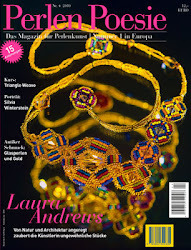 The book is full of ideas and pictures of beadwork made by many others, opening a gate to your own path; it is YOUR book. It seems like the reason for the so many pages is only for you to find space, 'emptiness' and 'silence' to listen to your very own inner voice. Also, she has sprinkled every section of the book with meaningful quotes which are a delight on their own, but also show the mindfulness of the action of creating. 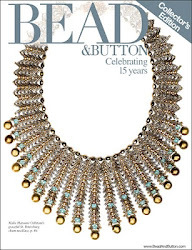 Beading is the expression of a natural, inner 'élan vital'. Kate knows it and gives you room. Be prepared to bloom. I have coral-dyed marbles of several sizes in my stash. I have already used them with turquoise and white pearl, which is a quite common color-combo, but after that, I didn't really know what to do with it... Having many other projects to bring to life, I put the beads aside and forgot them for some time. Paper samples available for free at DIY such as the Home Depot (for paint) was the first 'tool' that I used to find which combos I liked most. It was pretty useful for my home: the colors weren't too bright and I had quite some fun with it. Their clever online tool, Behr's Color Smart Tool is really very nice for choosing colors for your house. You can even paint your own house virtually! 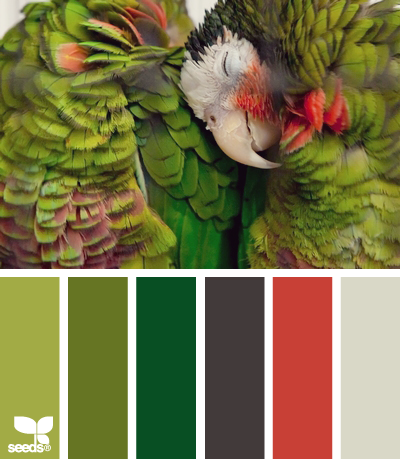 Seeds offers an amazing amount of incredibly beautiful pictures and color palettes which you can download for free and print. 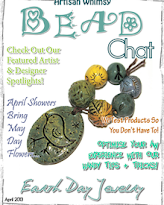 There is something for everyone's taste; if you are stuck and need inspiration, this is the place to go. No need to go further if you don't have your own image. 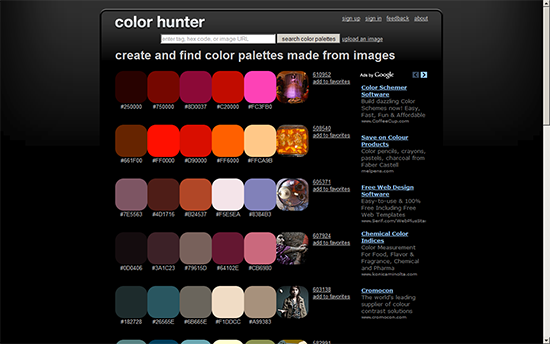 Now, if you are inspired by an image or picture, you might like to use this tool from Degraeve or Color Hunter to see which are the dominant colors of your favorite image; either by entering the url of the image, or simply loading it up from your computer. 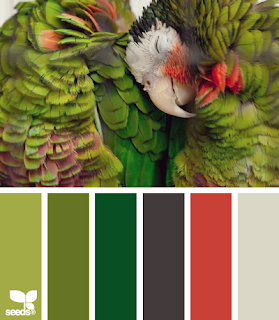 Both generators will give you a vibrant and a dull color palette. Bighugelabs , focused on fabric, is also a nice color generator using your own picture - the result is quite exhaustive - many beautiful colors... See here what JaneVille's design look like thanks to this tool. 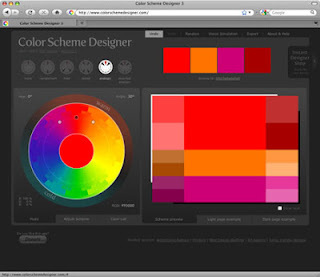 It allows you to download the swatches in Adobe Swatch Exchange (ASE) format for Photoshop or compatible applications and CSS Drive (yes another one) allows you to save the palette as CSS stylesheet (.css file) or photoshop swatches (.aco file). 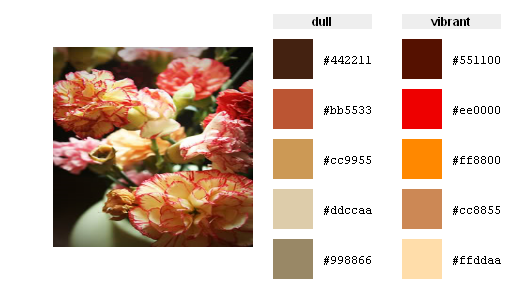 There are many color palette generators online, but I think that my two favorites are Seeds for the inspiration by color and by theme and Degraeve (white background) and Color Hunter (dark back-ground) for their succinct selection of the colors. Bead Sample - Preciosa Ornela made my day! 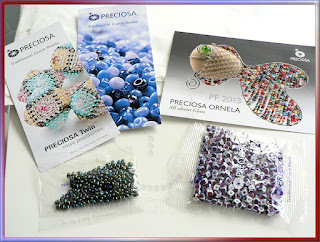 Preciosa Ornela Seed Beads sample. Thank you! Saint Nicholas exists! Thank you Preciosa Ornela for playing the good saint! 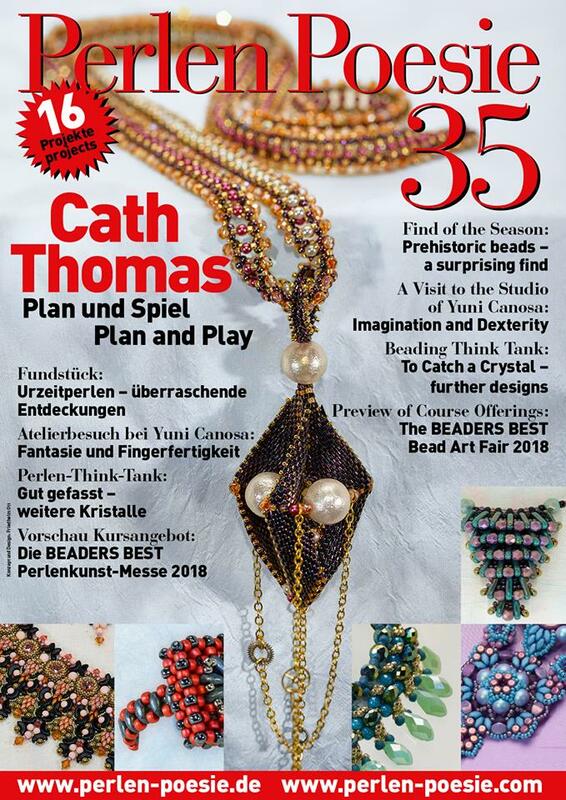 Today there was a surprise in my mailbox: two little bags of beautiful glass beads, one with nice iris green twin beads and a surprisingly big bold white-red-blue seed bead (size 6/0 according to the useful size chart also sent along with the beads). It made me think of the brand "Tommy Hilfiger", even though the design is not totally the same. 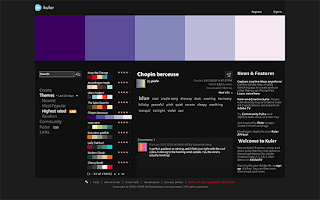 It also has the colors of many flags around the world; like the one of the Czech Republic where those lovelies come from. 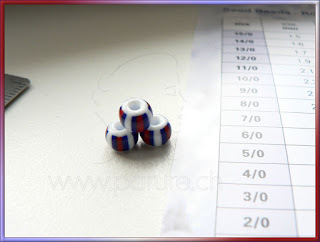 I am wondering if Hilfiger uses beads in his cerations... Gonna think of how to use those little beauties and maybe start a trend... who knows? I must add that the post did a fantastic job - the package was sent on the 6th to arrive today, the 8th... that is really fast! World-wide renown brand Preciosa Ornela makes beautiful glass beads and seed beads in many sizes and shapes and I love them all! I wish I could win their monthly 1kg bag! That would be Christmas! 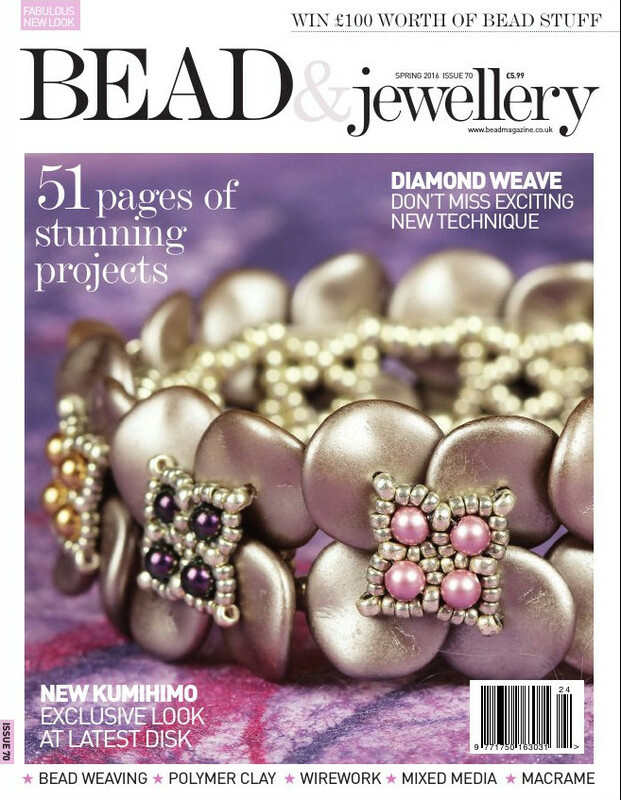 Maybe you will be the lucky one to win their monthly give-away. 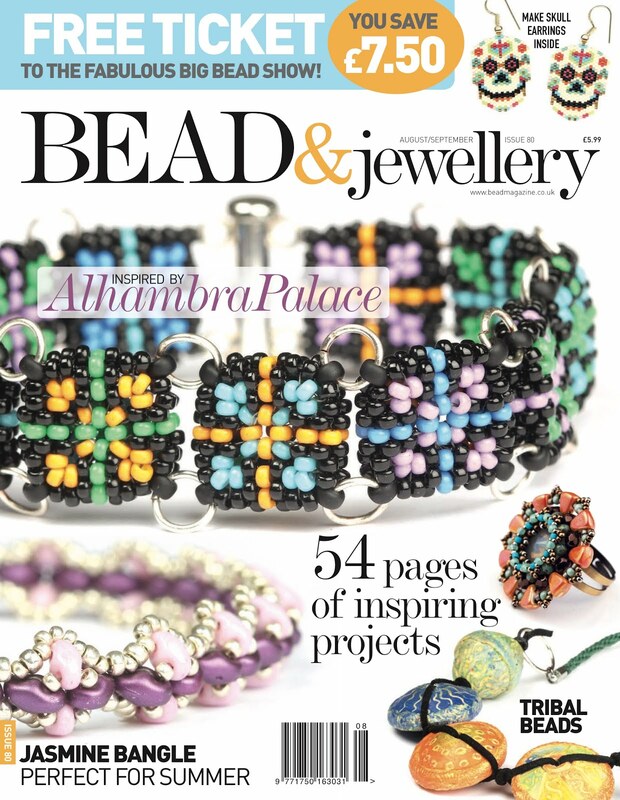 Visit Preciosa Ornela's website and see the beautiful beads and designs you can make. 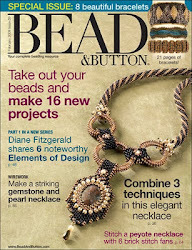 There are tons of free patterns you will love! 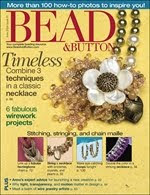 Learn more about their ethical engagement, about fashion color forecasts, the sizes and types of beads... The choice is endless... Look at the picture below - it shows one of the 4 color assorments they send... who wouldn't want to get those! Euphoria! This week I am working on a new tutorial. 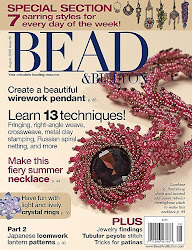 I like to draw, that is also why I like to bead... drawing with big pixels, small pixels, beads... The pattern is for a pair of elegant earrings - the perfect hoops for Christmas or New Year's Eve - which I made to complement the necklace "Echo Dance". So voilà: from now on I sell my patterns for these reasons. And... 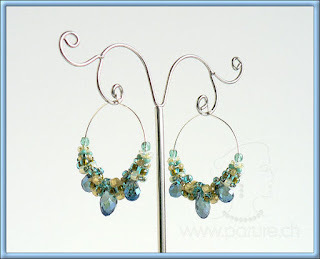 I have decided to sell my jewelry too! I will post pictures every now and then, so please come back to see the updates if you like my work. 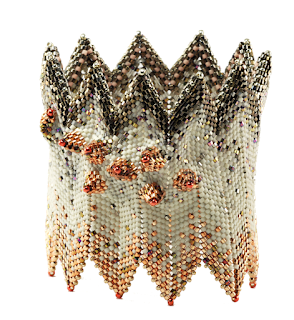 Most of you know me already but for those who don't, please note that everything is hand-made with love, the designs are my very own (except if otherwise stated) and the work and material are top-quality. I hope to be able to open a webshop soon. 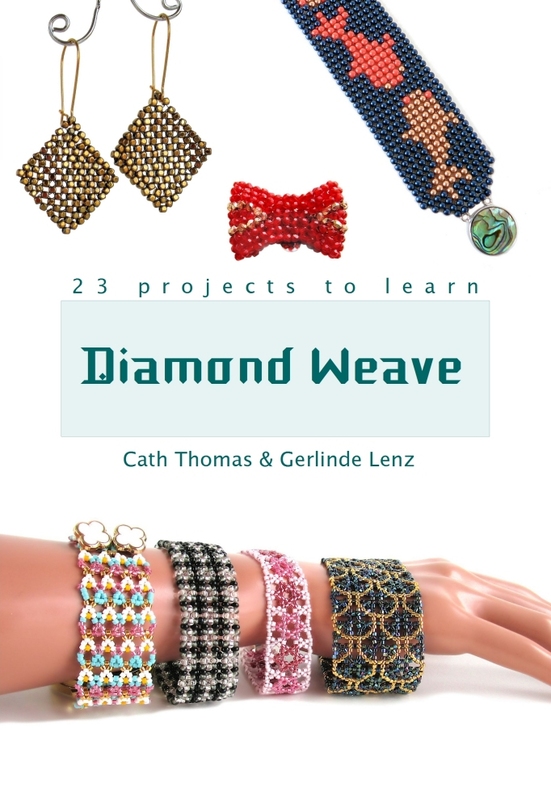 To make the 21.5-inch rope, I used Japanese seed beads, Czech glass, crystal rondelles and freshwater-pearls with a weaving technique which I like to call "tri-CRAW" - a variation of cubic right-angle weave on a triangular basis. 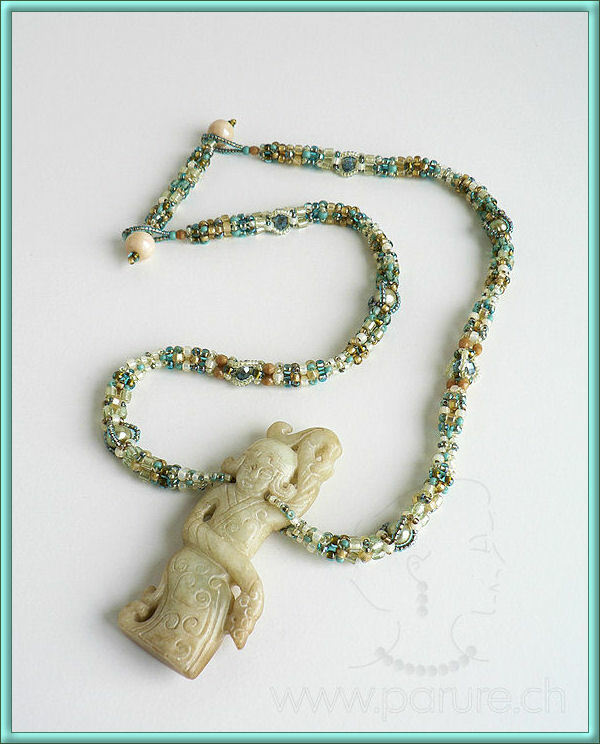 The pendant is made of carved blue-ish green yellow jade (natural stone), measuring 2 3/4 by 1 inch. 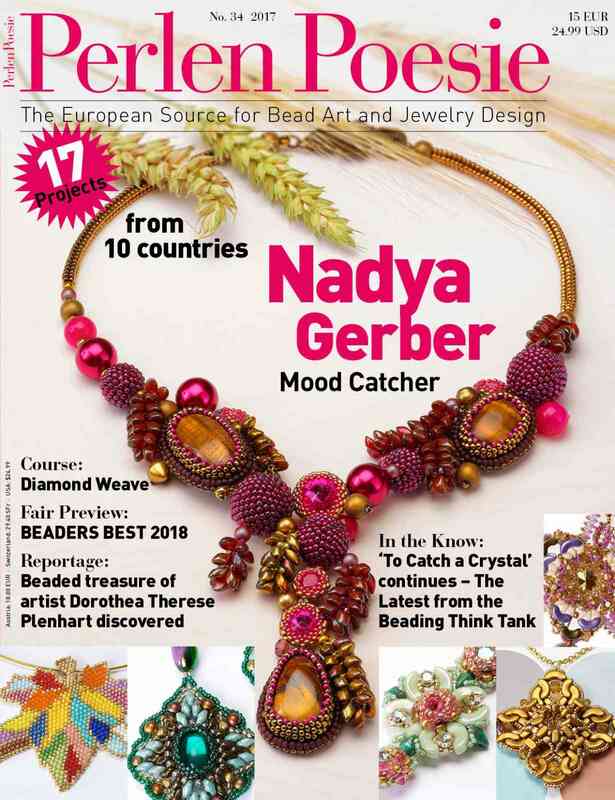 If you are interested in purchasing a pattern or jewelry, please contact me at cath @ parure . ch for more info, pictures, details, etc... (you have to take the spaces out of the address). The Echo Dance I refer to is a breath-taking performance which can be seen in this fabulous film name "House of the Flying Daggers". This film is a real gem made by Yimou Zhang. He has an incredible sense for beauty and the scenes filmed outside are amazing, definitely worth watching. With the beautiful Ziyi Zhang and Takeshi Kaneshiro. Enjoy!